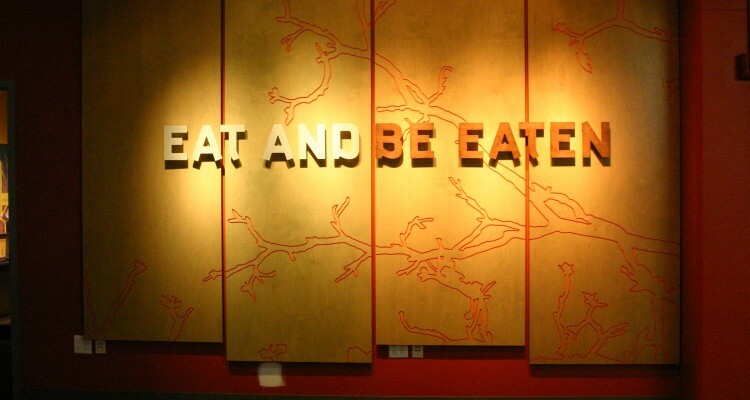 Eat and Be Eaten is an exhibition filled with live animals interpreted through the lens of predator-prey relationships. 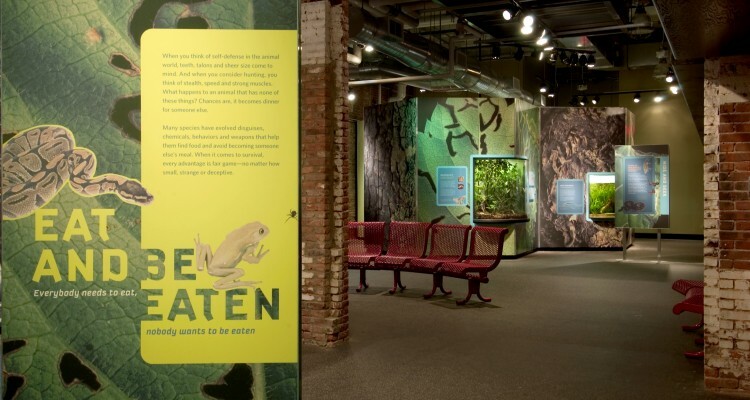 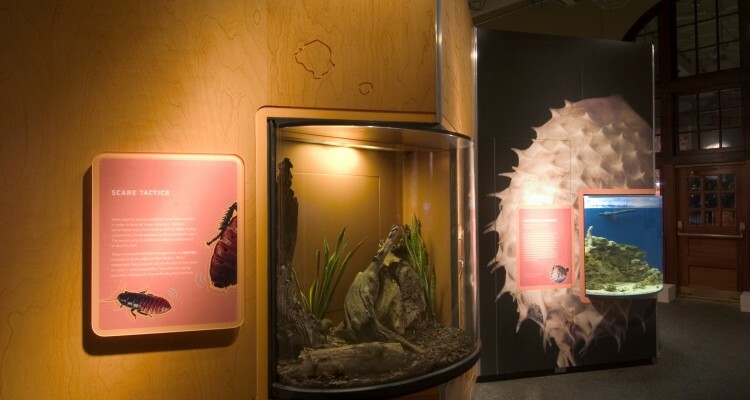 Visitors explore how animals evolved to either increase their chances of capturing prey or increase their chances of avoiding being captured as prey. 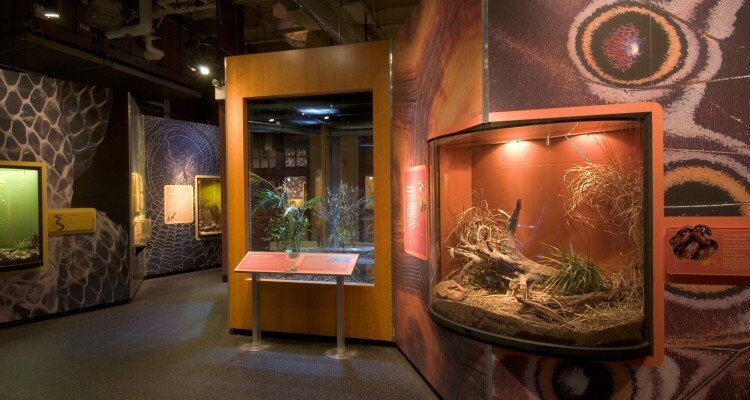 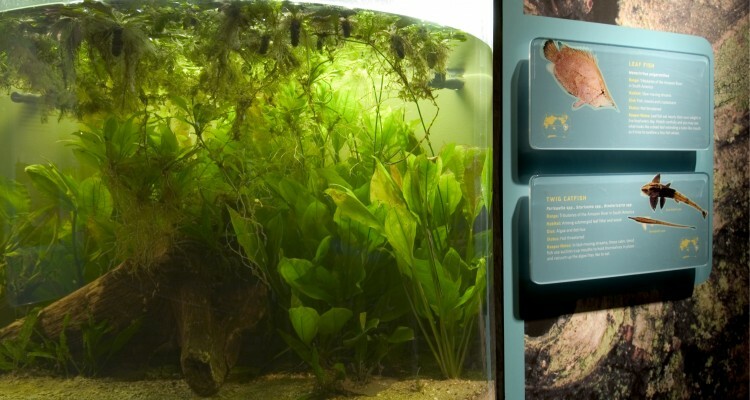 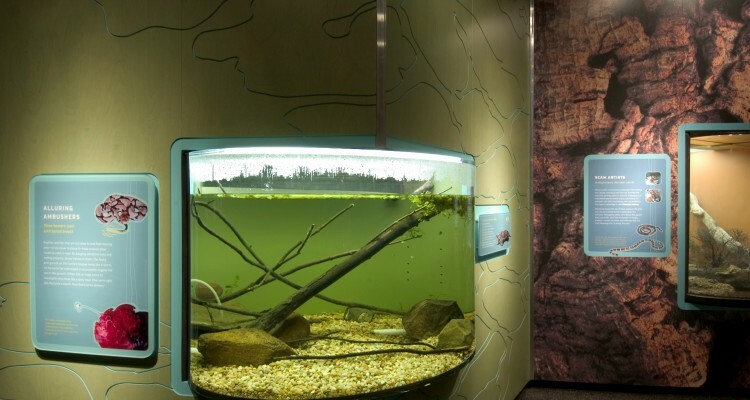 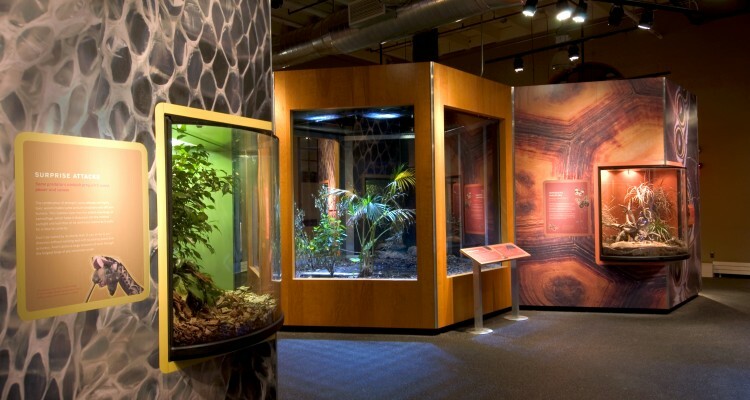 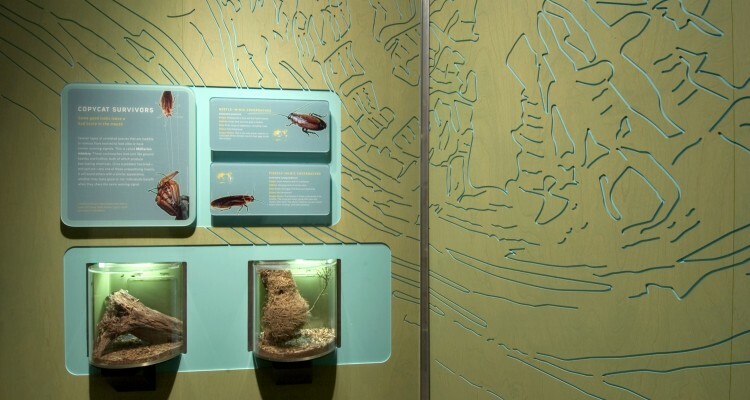 The exhibition is designed to bring the aquaria holding the animals to the forefront and give visitors an intimate, up-close, and memorable experience.